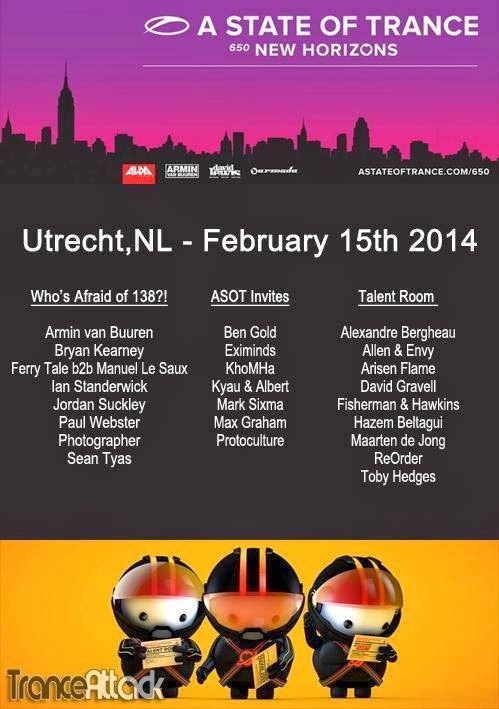 OfficialDjFreire: ASOT650 Utrecht line-up of first 3 areas announced! 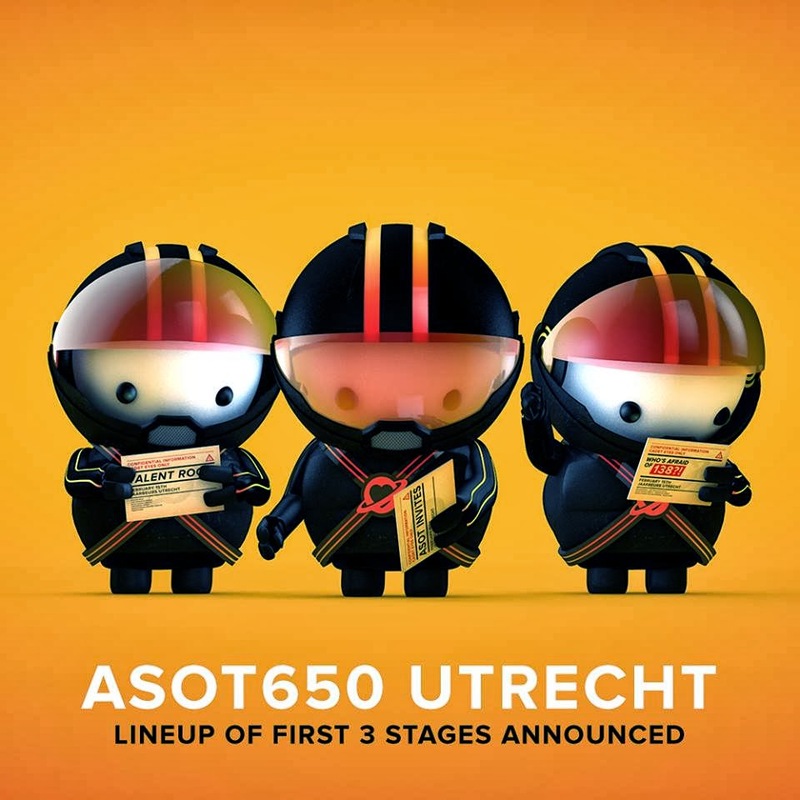 ASOT650 Utrecht line-up of first 3 areas announced! Ten-thousands of ASOT fans will touch down on Dutch soil ­ to celebrate ASOT650 at its place of birth. On February 15th, at the massive Jaarbeurs in Utrecht, we will unite and share our passion for music, with a staggering line-up and show unlike you¹ve ever seen before. To get you in the mood, we’re happy to announce the line-up for the Who’s Afraid of 138?! area, the ASOT Invites stage and Talent Room! A well-balanced selection of rising talents, renowned DJ heroes and must-see names will make sure you¹ll remember this night for many years to come! Haven¹t got your tickets yet? Then be sure to get them now!